Believer was one of the forerunners in a wave of technical, compelling Christian thrash acts dropping albums in the later 80s, including such others as Tourniquet, Deliverance, and Sacrament. Though their religious interests certainly wouldn't prove popular among many metal circles today, and in truth weren't such a hot commodity even back then, they married their convictions to some admirably aggressive songwriting, which in my estimate places their appeal far beyond the bounds of those of like-minded faith. Granted, I'm not and never have been one to hold a bias against worship-based metal (of any creed) unless it's excessively preachy or cheesy (and not in a fun way), but I think a lot of folks who balk at the terms 'Christian' and 'metal' in unison would be taken aback at just how pissed off this Pennsylvanian outfit was through their earlier records. Tracks like "Blemished Sacrifices", "D.O.S. (Desolation of Sodom)" and "Vile Hypocrisy" on the debut Extraction from Mortality are quite scathing in terms of their message, and not leaving a lot of room for interpretation, yet the music is surgical and meticulous enough that non- or anti-Christian fans of hostile thrash could easily hurdle the lyrics. 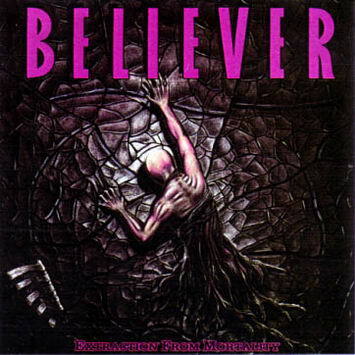 That's not to say Believer's debut was a masterpiece by any definition, and in fact it leaves something to be desired, but even this early, they were performing a brand of thrash quite rare, and remaining so. Musically this felt like a veritable tornado of semi-technical riffing aesthetics redolent of what bands like Destruction, Mekong Delta, Vendetta and Deathrow were writing over in Germany, only supplanted into a muscular momentum familiar to West Coast US acts like Testament, Exodus and Heathen who were offering us a more progressive, or more pummeling variation on the laws set by a Master of Puppets. Vicious, busy, and abusive sequences of palm mutes and triplets drive much of the action, and the guitars are mixed with a soulless and unapologetic certainty which is sure to induce fits of headbanging. The leads aren't great, but they're definitely practiced and clinical in nature, like a poor man's Alex Skolnick; the setback is simply that they're rarely so memorable as those strung together on a record like The New Order, Master of Puppets or Rust in Peace. One couldn't argue that a lot of thought was put into this selection of tracks, but apart from a pure visceral level, I've never been able to connect with them. Extraction from Mortality was no 'hit generator', at a time when more proficient and complex albums by Artillery, Deathrow, Coroner and so forth were able to provide both instant accessibility and accumulated depth through repeated listens. Ultimately, I remember this more as a setup for its successor Sanity Obscure than anything else, because that sophomore was able to take this existing blueprint and fashion it into a superior set of songs. The lack of distinct bass lines (or bass presence in the mix) definitely drops a possible dimension from its appreciation, and thus so much focus is spent just on the guitar patterns and the angered vocals of Kurt Bachman. 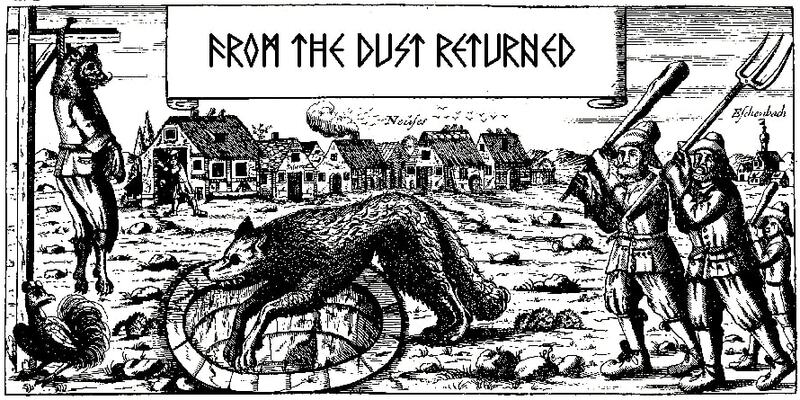 In the case of the former, there are a handful of cuts like "Unite", "Tormented" and "Extraction from Mortality" itself which manifest enough excitement through their onslaught that they could throw down with the lion's share of their US peers, but looking at Extraction as a whole it often feels like a tireless parade of notes that just don't form themselves into emotionally resonant phrases. Bachman sounds quite goddamn convincing, if you'll pardon the pun, sort of a missing link between the two best known Dark Angel frontmen (Don Doty and Ron Rinehart); a hoarse and furious treatment which occasionally channels a bit of angrier Snake (Voivod) or Kurt Brecht (D.R.I.). At the same time, though, you get tired of his inflection after just a handful of tracks, because there's not enough variation or interesting syllabic delivery to compensate for the matrix of skilled but dispirited guitar progressions thundering beneath it. I did like the few hints of real experimentation here, like the disjointed use of samples and discordant pianos to open "Unite", creepy clean guitars inaugurating "Shadow of Death", or the lengthy and moody symphonic intro to the title track; things to pay attention to, as they'd play a role in influencing Believer's third album Dimensions (1993). That said, there were not enough of these balanced throughout the length of the record to make a difference, and other instances of stepping out the comfort zone, like the funk/reggae closure to "Stress", or the dumb 'skit' that heralds the "Vile Hypocrisy" remix on the reissues, which I can't imagine was ever funny to anyone but the band themselves. Neither lasts long, but they still mar the surface of a record which seems so predicated on tension and conviction. All told, Extraction from Mortality is indeed an ambitious and proficient introduction to Believer canon, with a riff set that might sate those into bands as diverse as Exodus, Mekong Delta, or more recently, Vektor and Ritual Carnage; but it simply did not have the songwriting charm of so much else that was happening in that 1988-91 period, and at best serves as a second or third tier filler between binges of No More Color, Control and Resistance, Think This, Deception Ignored, Victims of Deception and Paradox's Heresy.